Foodist Exceeds Projections in April – More than 1,800 Subscribers and Revenues of over EUR 57,000! We are proud to present you the figures of last month. Within one month, we have won 243 new Foodist box subscribers! Total revenues came in at EUR 57,000 (the highest monthly revenues of Foodist in 2014), thus we are still growing significantly. Our projected revenues for April were EUR 55,540, but we achieved EUR 57,213, which was 3% better than expected. Simultaneously, we reached 1,820 subscribers instead of the projected 1,800 in April, which exceeded our projection by 1%. 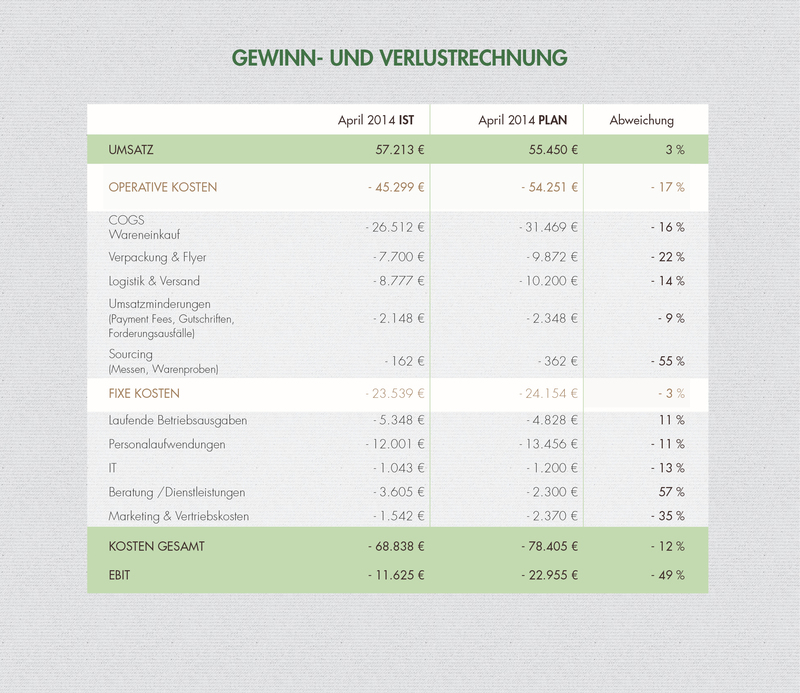 April revenues were strongly influenced by the successful Easter sales. Customers greatly appreciated our Easter boxes, and we acquired a large number of new customers in this way. Apart from this, our record revenues were due to our marketing cooperation with the trendy fashion label "Armed Angels." Solely by exchanging flyers that were inserted into the packages of the other company for a month, we were able to win 50 subscribers. We will keep this positive experience of mutual package inserts in mind, and we have been able to reach a cooperation agreement with the Italian gourmet food retailer Gustini for this month. In May, we will exchange 5000 box inserts, and we are curious how many customers will redeem them. By means of the various marketing cooperation agreements, we have also reached the projected number of subscribers and are looking forward to welcoming the 2000th active Foodist subscriber soon.